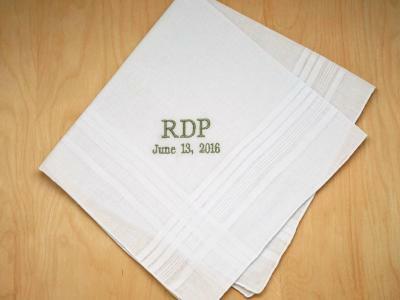 Personalized keepsakes to dry your tears of joy! 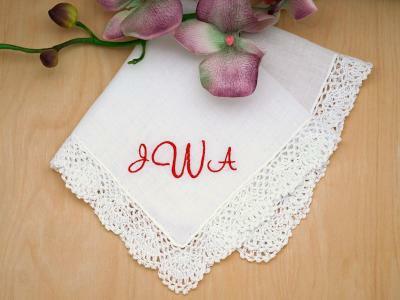 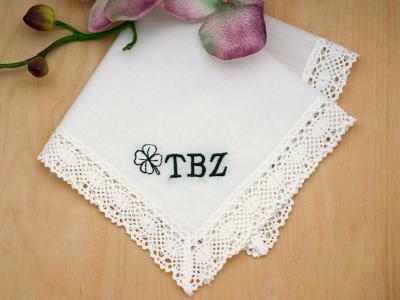 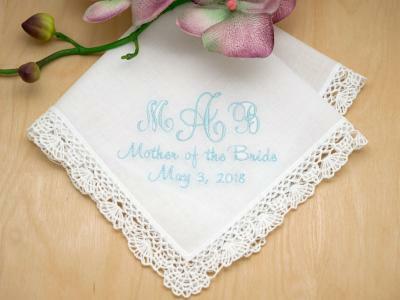 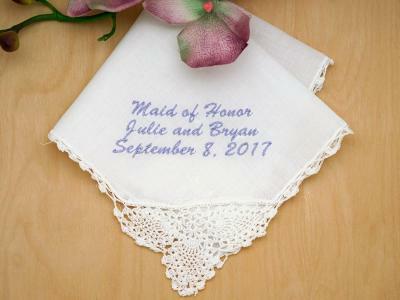 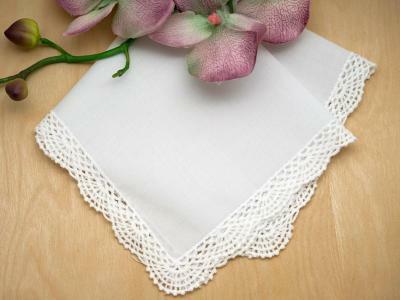 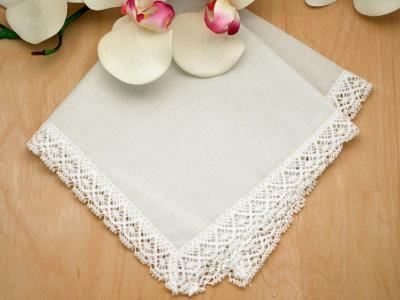 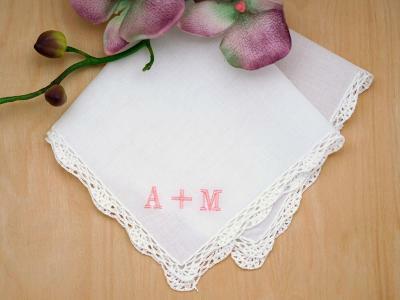 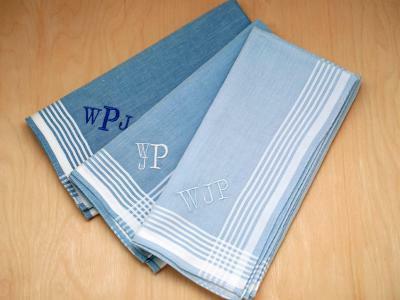 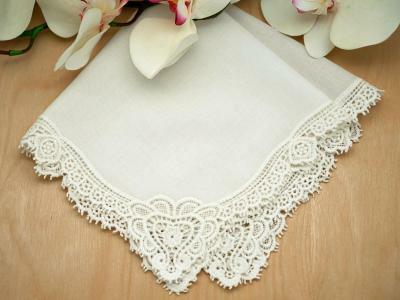 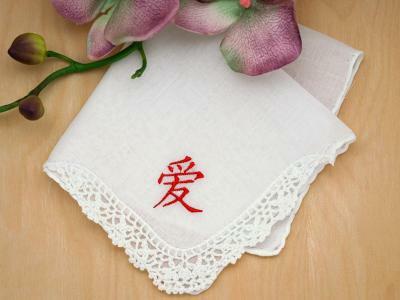 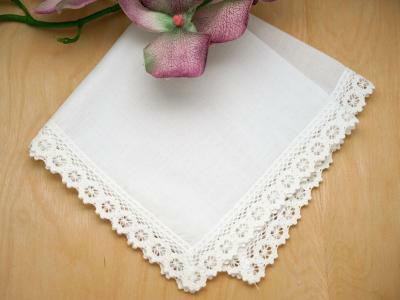 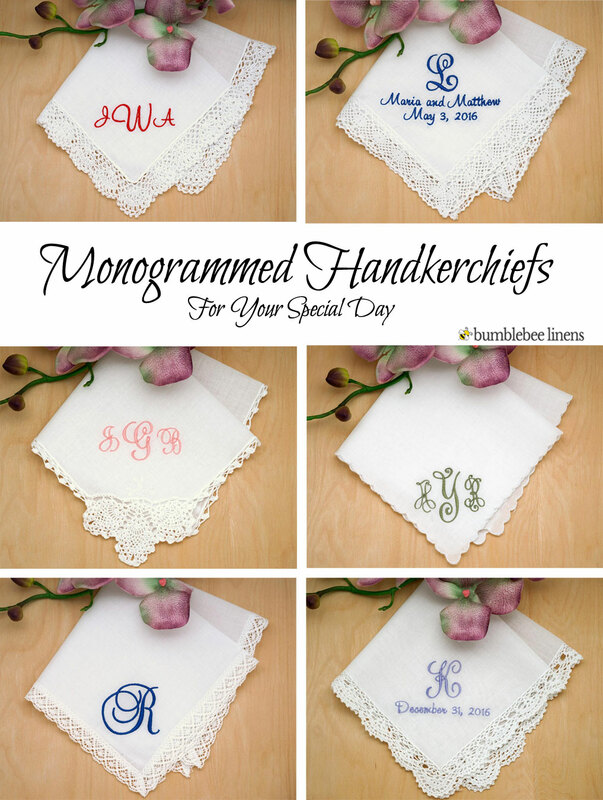 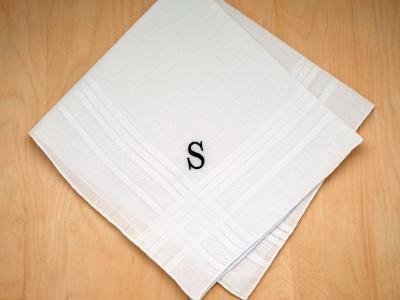 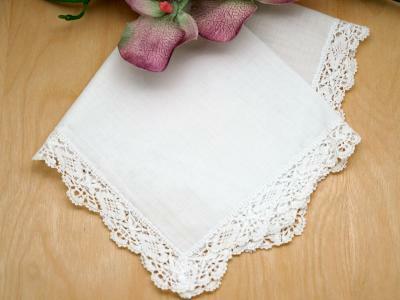 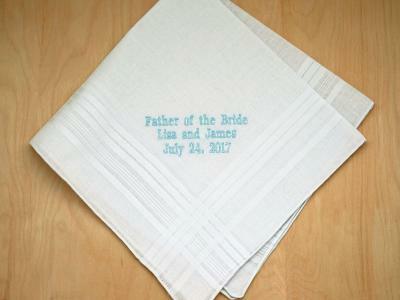 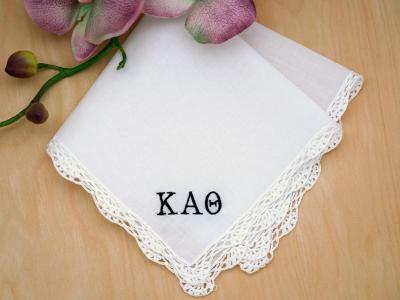 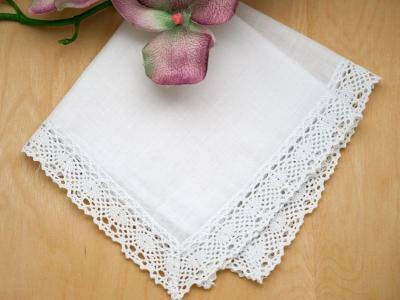 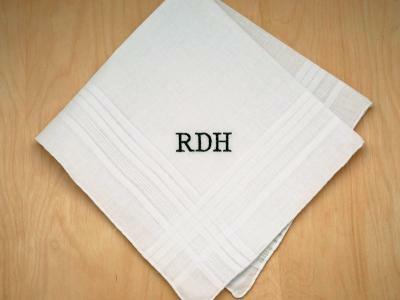 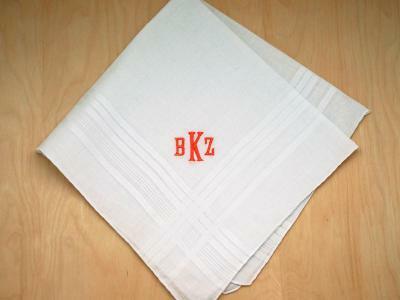 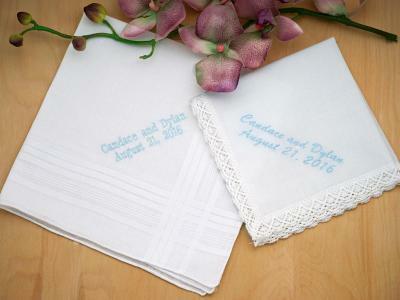 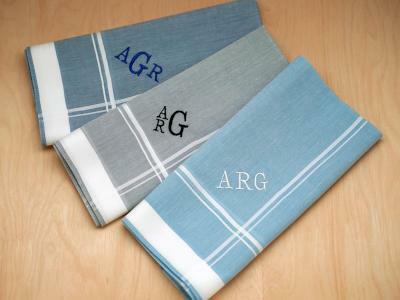 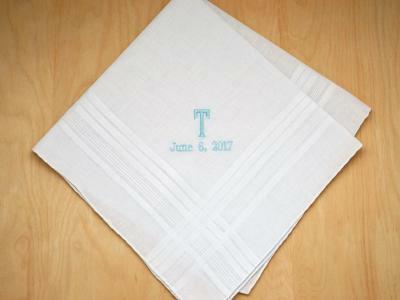 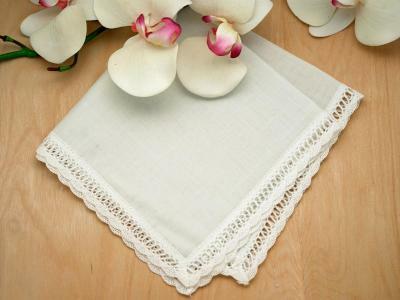 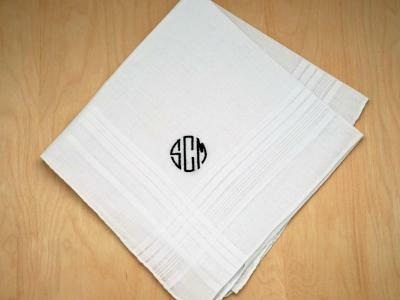 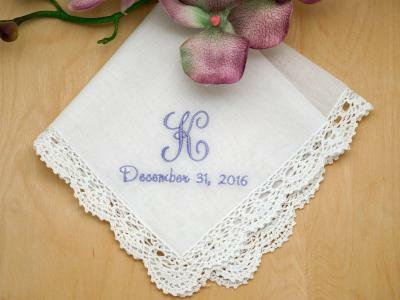 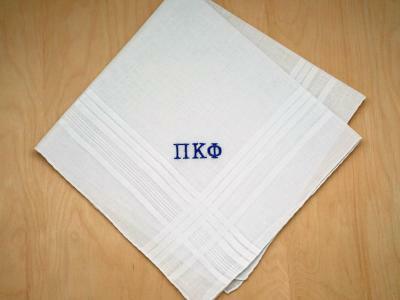 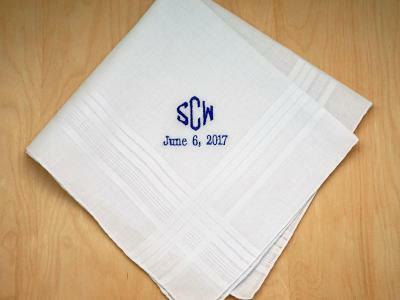 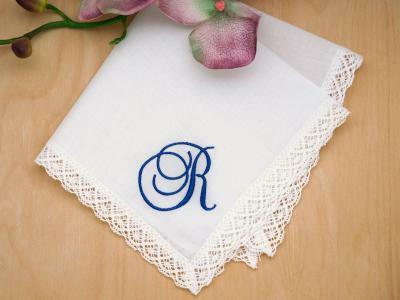 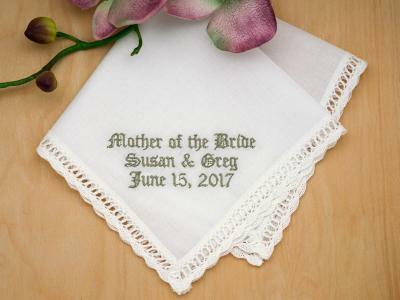 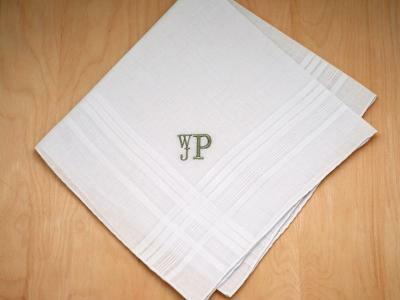 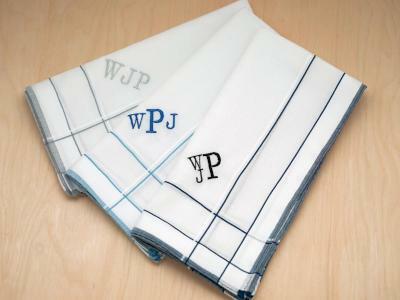 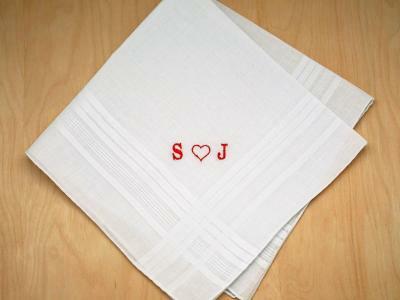 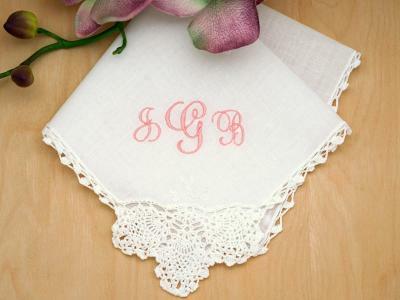 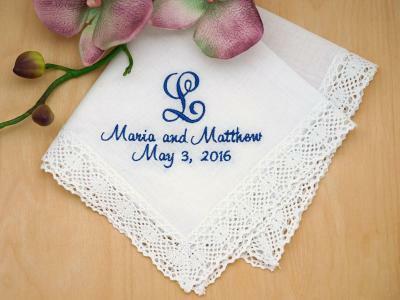 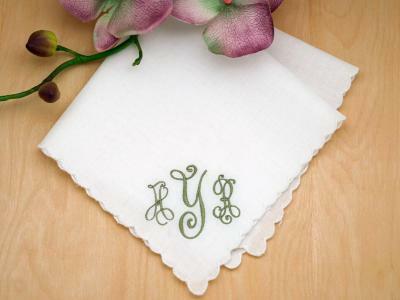 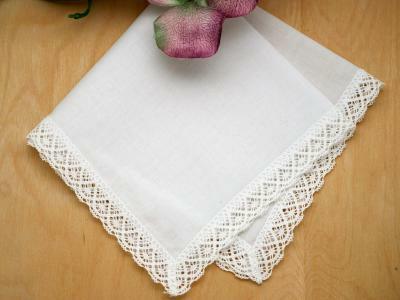 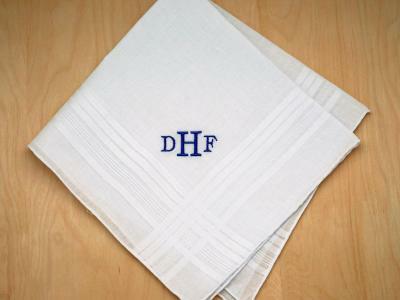 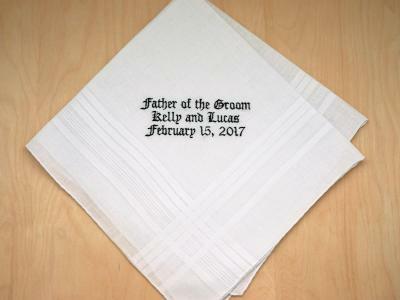 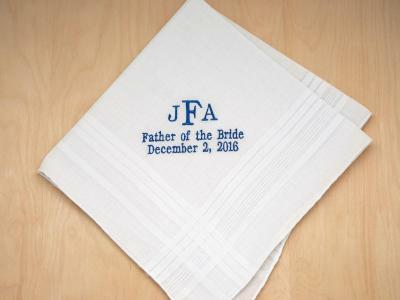 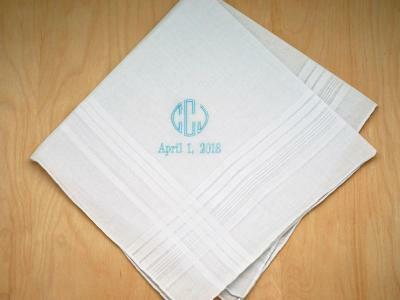 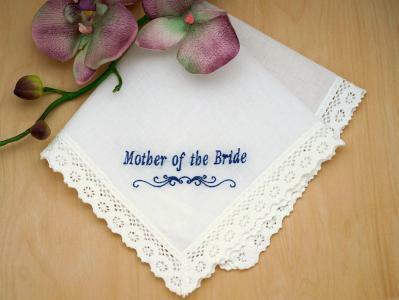 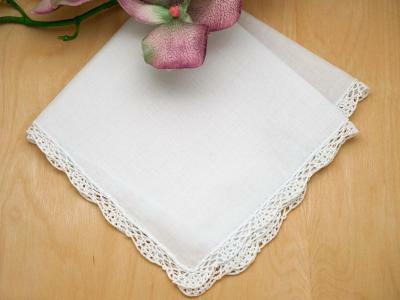 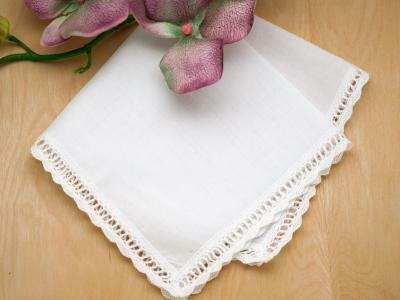 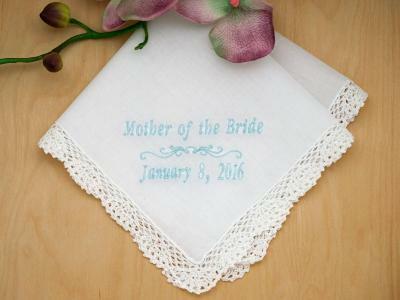 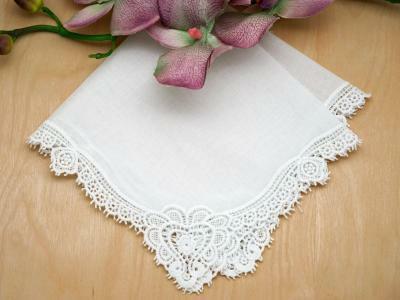 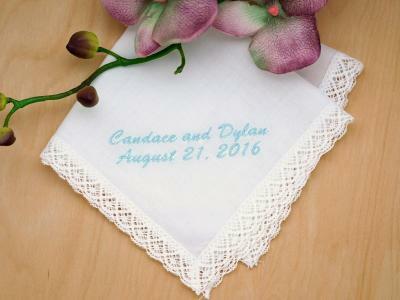 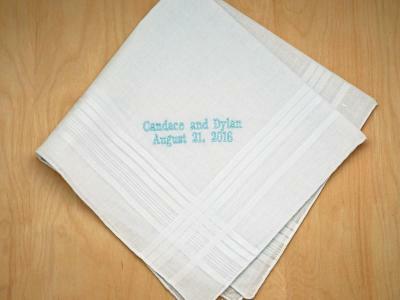 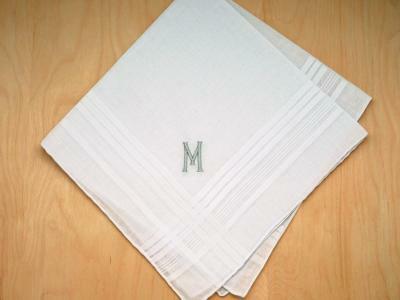 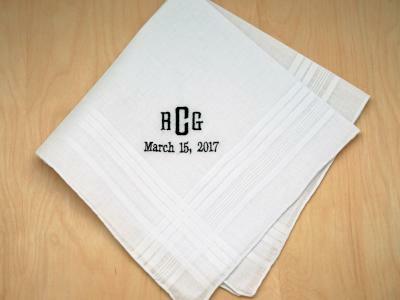 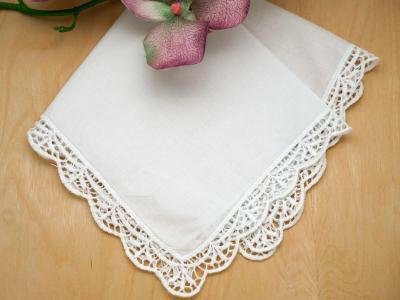 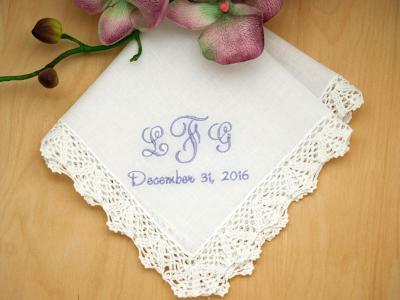 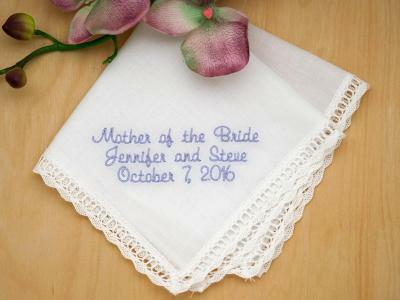 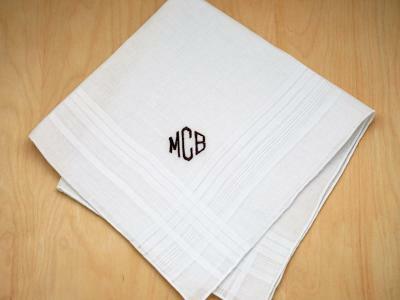 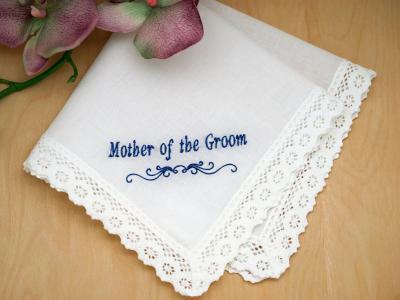 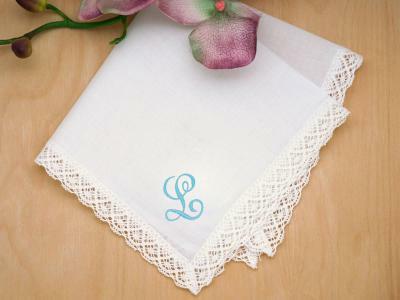 Make your wedding extra special by getting your handkerchiefs personalized with a monogram or message of your choice. 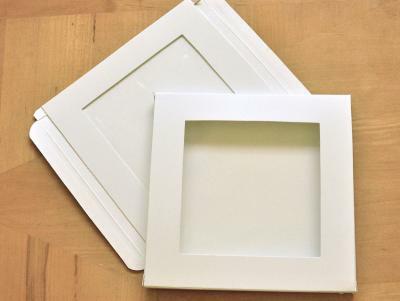 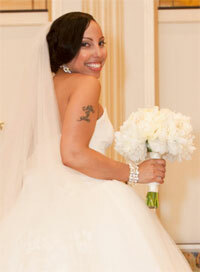 We offer very fast turnaround times. 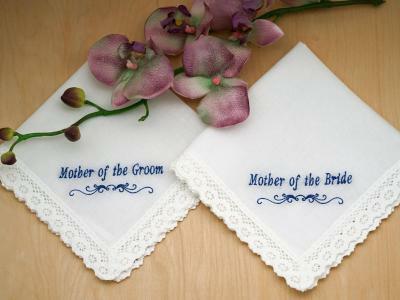 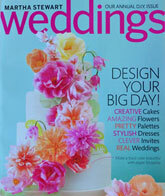 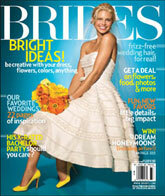 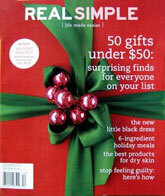 They make wonderful gifts for the bride, groom and wedding party. 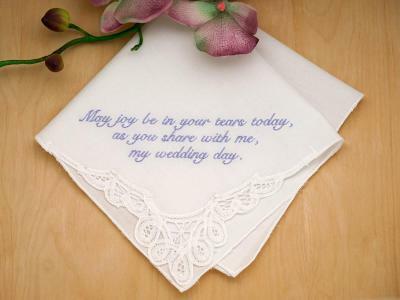 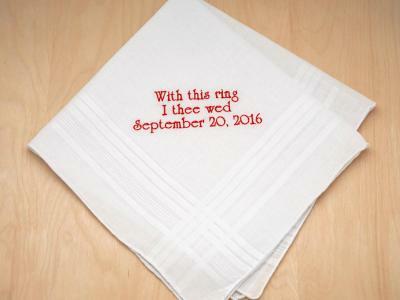 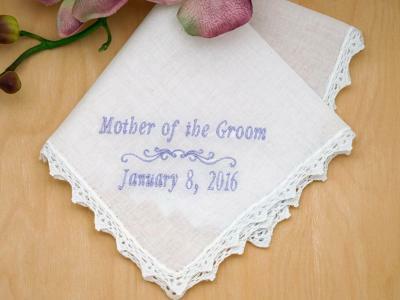 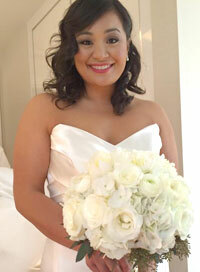 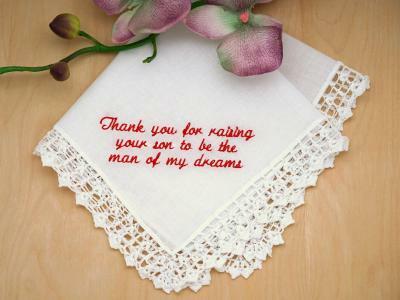 Consult our popular wedding hankie sayings guide for personalization ideas. 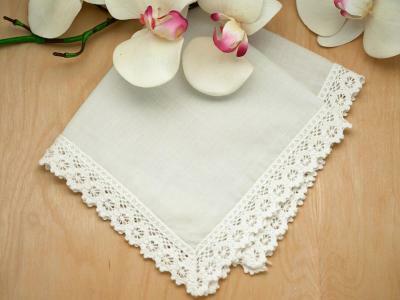 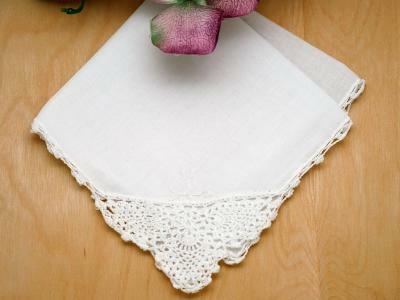 Handkerchiefs are individually priced. 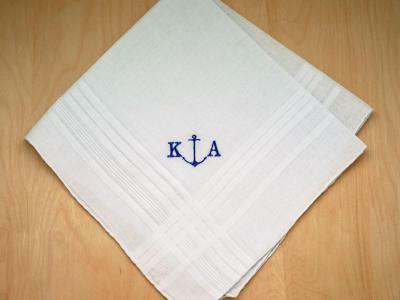 All embroidery is done in house in the USA for extremely fast service! 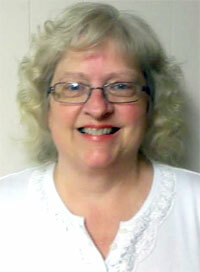 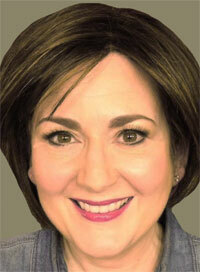 If you have any special needs or deadlines, feel free to contact us at 650-492-4617. 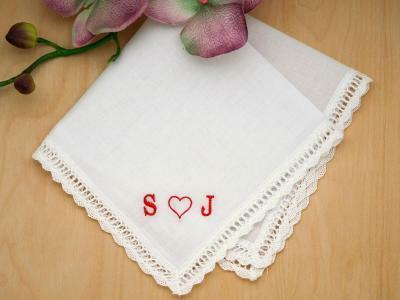 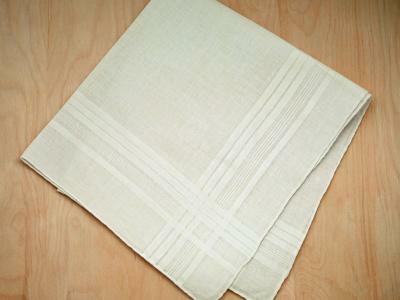 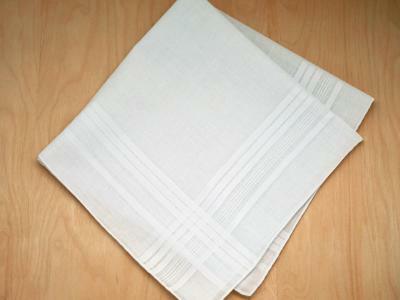 Choose from over 16 different handkerchief styles and thread colors.